All photos courtesy of their respective organizations. A number of businesses will soon open their doors at the El Dorado Hills Town Center! Expect yummy eats at Americano Grill Italian Bistro, lavish woodwork from NAR Fine Carpentry, high-end boutique goods from Talisman Collection and financial expertise from Van Hulzen Asset Management. Along with new businesses, the El Dorado Hills Town Center will be abuzz with fun, free activities for the whole family this month. The Bistro 33 Dance Party concert series runs the third Saturday of the month, beginning June 15, in the Steven Young Amphitheater. Doors open at 7 p.m. The Town Center’s popular Thursday night concert series, Live on the Boulevard, also returns this month (June 20) and is back with an amazing lineup—ranging from ’60s and ’70s classics to rock and roll, jazz, Motown, original artists and more. Concerts will last from 6:30-8:30 p.m. in the Steven Young Amphitheater. Showcase Saturdays begin June 22, and will repeat every fourth Saturday of the month. Enjoy a lively street fair from 6:30-8:30 p.m. along Town Center Boulevard, featuring wine tasting (for a small fee; includes a commemorative wine glass that benefits Canine Companions for Independence), live music and Town Center business specials and giveaways, followed by a free concert in the Steven Young Amphitheater. Friends of the Folsom Library has the perfect suggestion for a year-end gift for teachers and organization leaders, or an anytime gift for loved ones: a commemorative library “book spine”—mini plaques designed to look like the spines of books and mounted permanently on a wall in the Folsom Public Library. These beautiful spines come in two styles: wood and ceramic and can be engraved with up to two lines of 25 letters each. For more information, visit foflib.org or the Friends’ BOOKtique bookstore inside the Folsom Library (411 Stafford Street). Starting June 5, the Palladio at Broadstone will provide high-energy family entertainment every Wednesday with its On The Stage concert series. Held from 7-9 p.m., the series kicks off with a performance by the Top 40 cover band, Cheeseballs. For the full schedule, visit gopalladio.com. A number of new stores are coming to Folsom this summer; be on the lookout for Franco’s 5 & 10 (a vintage toy and candy shop at Palladio), The Learning Experience (a daycare facility at 1740 Prairie City Road) and a Costco (fueling station expansion), set to open soon at 1800 Cavitt Drive. Kristin Thébaud Communications and the California Food Literacy Center took home the Gold CAPPIE Award for Pro Bono Campaign on April 4 at the Sacramento Public Relations Association CAPPIE Awards. The team was honored for its Food Literacy Month campaign in September 2012. Assemblymember Roger Dickinson authored ACR 161, a resolution sponsored by the California Food Literacy Center to declare September Food Literacy Month and to raise awareness about food literacy on the state level. The nonprofit has already begun planning with Assemblymember Dickinson and Kristin Thébaud Communications for this year’s activities. Congrats! United Way California Capital Region’s 5th Annual LIVE UNITED Toilet Paper Drive will take place from 7 a.m. to 7 p.m. on June 13 at Cal Expo. Sac-Val Janitorial Supply will donate one roll for every two rolls collected. The toilet paper will be distributed the following week to many of United Way’s 148 certified nonprofit partners in Amador, El Dorado, Placer, Sacramento and Yolo Counties. For more information, visit yourlocalunitedway.org/tpdrive. 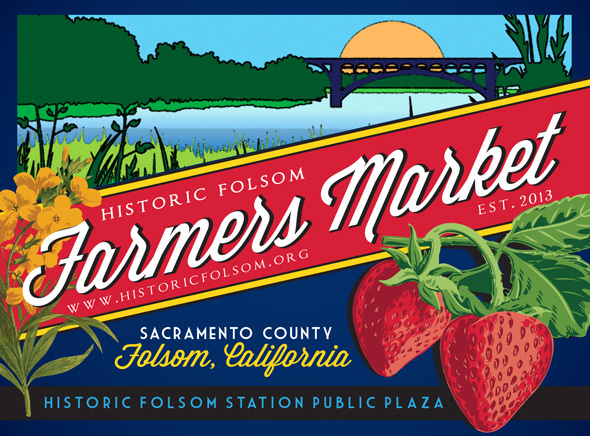 Don’t miss the new Historic Folsom Farmers’ Market, located at the Historic Folsom Station Public Plaza, and held year-round (rain or shine) on Saturdays from 8 a.m. to 1 p.m. Featuring more than 45 vendors and farmers selling a plethora of locally grown produce, speciality foods (freshly made baked goods, eggs and other dairy items), plus live music, this market is the perfect destination for families, bike riders and pets! BeMoneySmart USA, the nonprofit organizing the market, puts teenagers to work at the event and teaches them real life finance skills and work ethic. For more info, visit historicfolsom.org. If you haven’t seen it already, the westbound lane of Folsom Lake Crossing will be closed to repair a drainage canal near the bridge. The lane, closed to vehicle traffic weekdays from 7 a.m. to 4:30 p.m., will be used for heavy equipment during construction hours. The lane is scheduled to reopen July 1. 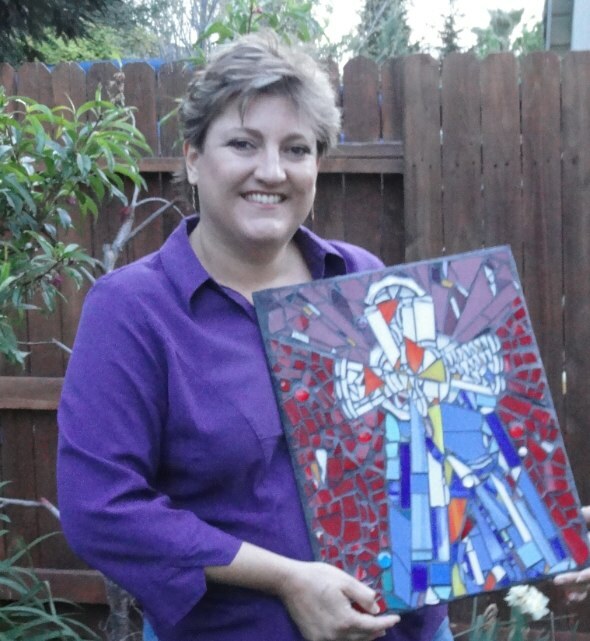 Create your own unique mosaic at Beauty and Blessing: Creating Art That Stirs the Soul at St. Stephen’s Lutheran Church in El Dorado Hills. This all-ages event will be held June 25-28, starting with a light dinner at 5:30 p.m. and continuing with the art workshop from 6-8 p.m. Childcare will be provided for young children. To sign up, call 916-933-1441. Identify your art goals and develop creative strength with artist Susan Keale, known for her whimsical illustrations and paintings, in her Private Creativity Mentoring program. The series will run June 1-July 31 on an appointment basis; space is limited. For more info, contact Susan at 530-228-8775. The El Dorado Hills Genealogical Society meets the third Wednesday of each month (except December) in the Community Room of the El Dorado Hills Branch Library. Meetings begin promptly at 6:15 p.m. For more details, email edhgs@yahoo.com. That’s all for now, but check back next month for Style’s annual Travel feature.